Asia Pacific Flight Training Sdn Bhd opened its academy of flight training, Asia Pacific Flight Training (APFT), to specialize in airline pilot courses for commercial airlines at Sultan Ismail Petra Airport, Pengkalan Chepa, Kota Bharu Kelantan. APFT is fully accredited by the Department of Civil Aviation (DCA) and the Ministry of Higher Education Malaysia as an advanced tertiary training institution. Internationally recognised by the International Civil Aviation Organisation (ICAO), APFT has been selected by Malaysia Airlines and other major airlines as an approved organization for flight training of their cadet pilots. At APFT training cadets are exposed to an aviation environment where airline domestic operations occur daily. Sultan Ismail Petra Airport operates a first-class airfield, equipped with Radar, Instrument Landing System and other approach aids. As a private institution of higher education registered with the Ministry of Higher Education Malaysia, APFT conducts a course of study for the Diploma in Aviation (Pilot Training). "To be recognised as Asia Pacific's leading provider of pilot training." "We aim to achieve the highest standards of integrity, discipline and professionalism in our everyday performance. We desire that the dreams and visions of all our students will someday come true." The DCA Malaysia Airline Transport Pilot License (ATPL) course is a full-time programme conducted by Asia Pacific Flight Training (APFT) at Sultan Ismail Petra Airport Pengkalan Chepa, Kota Bharu Kelantan and at other locations chosen to maximise flying opportunities within Malaysia. On completion of a minimum of 60 weeks training, the graduate will be awarded a DCA Malaysia Commercial Pilot’s Licence with Instrument Rating (CPL/IR). All students will study theoretical knowledge up to Airline Transport Pilot’s Licence (ATPL) standard, allowing the straightforward issue of this qualification as soon as the mandatory minimum flying experience has been achieved. This is 1,500 hours of flight time, which must include 500 hours of multicrew flying. Between graduation from the training course and accumulating 1,500 hours, the pilot acts as a First Officer, exercising the privileges of the CPL/IR, which during this time is referred to as a Frozen ATPL. Students will either be funding their own training, usually having secured bank or parental support or, will have been selected by an airline for full or part sponsorship. 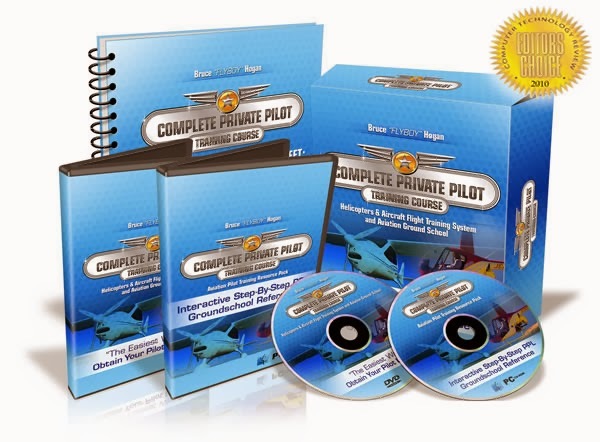 As of June 10, 2005, Employees Provident Fund (EPF) contributors may use the savings in their EPF Account II to fund and finance their own or their children's pursuit of the Commercial Pilot Licence with Instrument Rating (CPL/IR) Course. Please refer to the EPF website (http://www.kwsp.gov.my). MARA also provides sponsorships to students pursuing Commercial Pilot License Course with effect from April 2008. Please refer to the MARA website (http://www.mara.gov.my). Integrated course class size is restricted to 20 students.Applicants for the Integrated Course do not require previous flying experience. Those already holding a PPL, or a Non-DCA Malaysia Licence may apply to APFT for an abridgement to the full course of training. This will allow a small reduction in the single engine flying hours, so reducing the cost and in some cases the duration. Experience clearly shows that those completing the Integrated Course have the best chance of securing a First Officer position quickly. The standardised, structured and professional nature of all aspects of this training is regularly asked for by airlines world-wide. The minimum of 60 weeks Integrated Course consists of Theoretical Knowledge lectures in the classroom and Flight Training. Theoretical Knowledge is conducted by the Ground School in well equipped and air conditioned lecture rooms, each capable of accommodating 16 to 20 students. APFT Instructors have vast experience, a wide variety of aeronautical backgrounds, both civil and military, and are experts in Aviation Training. Cadet Pilots would have to appear for the PPL examinations after this module. Cadet Pilots would have to appear for the DCA Malaysia Technical (DCAT) examinations after this module. Cadet Pilots would have to appear for the. UK CAA (CA6) examinations after this module. Cadet Pilots would have to appear for the. UK CAA (CA2) examinations after this module. APFT is located next to the Sultan Ismail Petra Airport Terminal. It has a fully equipped Operations centre with briefing and planning facilities sufficient to cater for about 220 Integrated course students. The Flight Instructors are well experienced in teaching the Integrated course. Most, including the Principal, have held high positions in the aviation industry and this wealth of knowledge is invaluable to the trainee pilot. APFT has a fleet of Piper Warriors, Diamond 40, Eagle 150B single engine aircraft and Diamond 42 and Piper Seneca twin engine aircraft. The Eagle 150B, DA40 and Piper Warrior will be used for PPL and CPL Training. This comprises basic handling and navigation training followed by night and instrument training. The DA42 & Seneca will be used for ATPL Training which includes conversion to multi-engine aircraft, instrument, route and Airways flying. is there any women cadet pilots in apft? ?